Prime Minister Gordon Brown has reiterated the government's determination to press ahead with plans for ID cards at a cost of £5.4bn over 10 years, despite concerns over a series of data losses by government departments. Have we lost the ID plot? 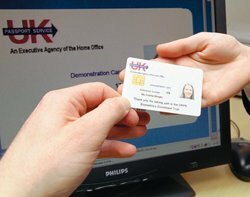 Has the government got the business case for ID cards right?